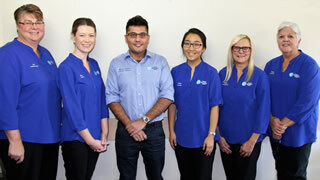 Hastings Podiatry Centre is operated by Manveer (Manny) Dhillon, accredited podiatrist . 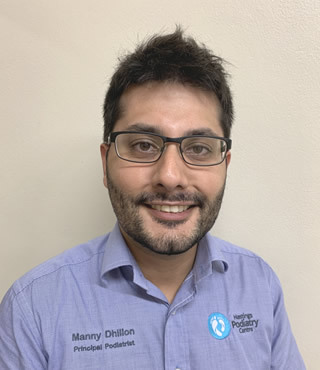 Manny graduated from the University of Newcastle in 2012 with a Bachelor of Podiatry, having previously attained a Bachelor of Health Science from AUT University, New Zealand. 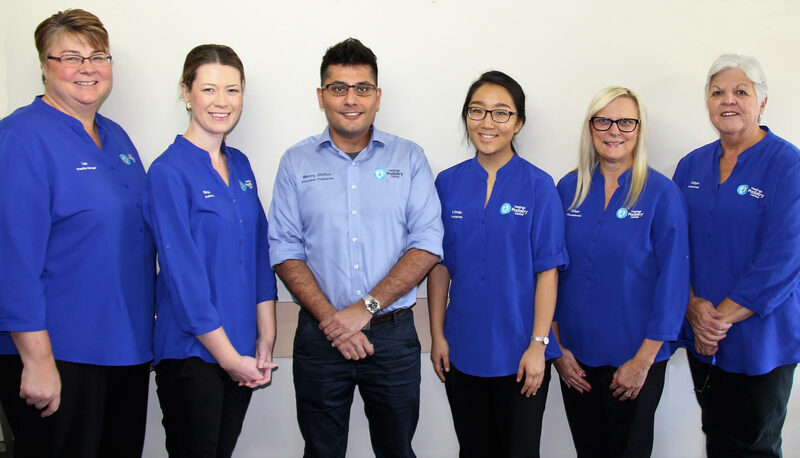 After achieving his qualifications in Podiatry, Manny joined the very busy private practice of Debbie Marks in Port Macquarie in 2013 however, he recently took ownership of the practice in January 2018. Since then he has put his own stamp on managing the business and has made Port Macquarie his permanent home. Manny is skilled in all aspects of foot and ankle health. He has a passion for bio-mechanics of the lower limb and is also very skilled in nail surgical procedures. Manny is passionate about looking after his patients and doing all he can to help optimise a patient’s mobility and quality of life. He strives for excellence in treating his patients and delivering the highest quality of foot care. Manny speaks English, Malay (Malaysian), Bahasa Indonesia (Indonesian) and Hindi (Indian). He is available for appointments Monday – Thursdays. 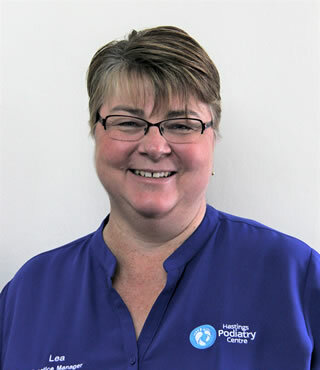 Linda, our new Podiatrist the latest addition to to Hastings Podiatry Centre. Linda joined the team in early 2018. 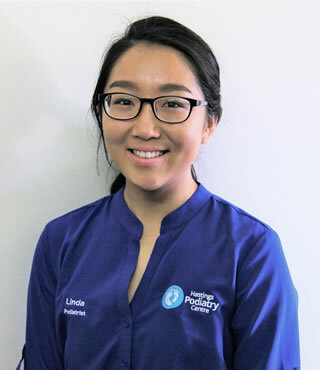 Born and raised in Sydney but more recently living in Newcastle, Linda completed her Bachelor of Podiatry at the University of Newcastle in 2016. 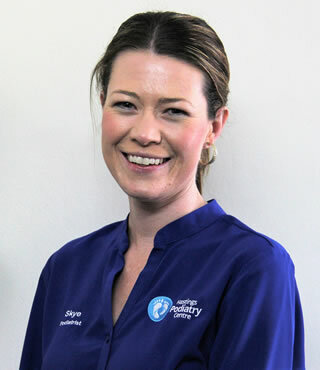 Linda has work experience in hospitality and a background working with Dr Damien Lafferty (Podiatric Surgeon) in Sydney. She has a special interest in general podiatry, diabetes and surgery. Linda works at the practice most days, however, also does home visits for our homebound patients and on behalf of our affiliated aged care facility here in Port Macquarie. Linda's hobbies include travelling and learning music through a range of musical instruments. Skye graduated from the University of Newcastle in 2010. During 2011-2013 she worked full time in a busy private practice at Griffith, NSW including numerous surrounding rural communities including: Temora, Young, Narrandera, Leeton, Jerilderie, Berrigan, Hay and Lake Cargelligo. This opportunity allowed Skye to experience a broad range of podiatric practice, including general treatments, diabetic care, biomechanics and paediatrics. She had exposure to Aboriginal clinics in both Griffith and Hay. Since 2014 Skye has been practicing on the NSW mid-north coast. She has a dedicated and professional approach to podiatry practice and a friendly manner. Skye is regularly complimented on her gentle clinical techniques and thorough treatment skills. She finds great satisfaction in seeing the results of people walking pain-free after their treatment, whether it be due to a simple callus or corn. Skye regularly enjoys attending different courses to broaden her knowledge. She is a current member of the Australian Podiatry Association. Lea joined Debbie Marks Podiatry in 2006 and most of Lea's valuable work is behind the scenes in the back office, but you may see her our front at the reception sometimes. Lea is available every Tuesday, Wednesday and Thursday, at which time she manages and organises the office and staff. She is happy to assist at any time. 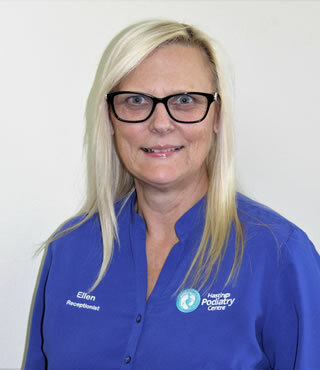 Ellen joined Debbie Marks Podiatry in 2012 and she is an experienced valued member of our team who besides being very efficient, is also a friendly welcome to our clients. Ellen will be happy to assist with appointments and enquiries. 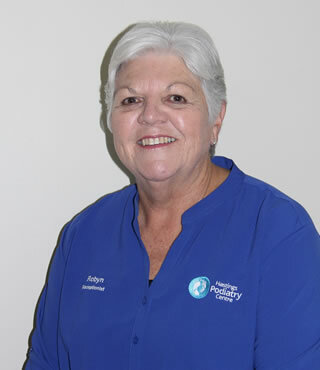 Another friendly member of our team, Robyn joined Debbie Marks Podiatry in 2014. Robyn also provides a friendly welcome to all our clients and is more than happy to assist with any appointments and enquiries. Come see us at 87 William St. Port Macquarie or we'll come to visit you! Hastings Podiatry Centre podiatrists are fully qualified Allied Health Professionals specialising in the prevention, diagnosis, treatment and rehabilitation of disorders of the feet and lower limbs.